Dr. Christophe Paulussen, ist Senior Researcher zum Völkerrecht am T.M.C. Asser Instituut und Research Fellow am International Centre for Counter-Terrorism – The Hague (ICCT). I come to you at what may prove to be a turning-point in our young and troubled century. There is real danger that in their reaction to extremist violence, opinion-leaders and decision-makers will lose their grasp of the deeper principles that underpin the system for global security which States built 70 years ago to ward off the horror of war. […] Terrorist attacks cannot destroy the values on which our societies are grounded – but laws and policies can. These laws and policies have partly been adopted to implement the obligations stemming from various supranational instruments, including UN Security Council Resolution 2178 of 24 September 2014, the 2015 Council of Europe Convention on the Prevention of Terrorism – Additional Protocol (‘Riga Protocol’) and the 2017 EU Directive on Combating Terrorism. All of these have received their fair share of criticism, for example because of “vague and over-broad definitions and resulting human rights risks such as arbitrary or discriminatory application of the law [and] the criminalisation of conduct without any direct link to specific terrorist offences”. Despite this criticism, states have implemented and will implement the obligations stemming from these instruments. This brings us to the role and position of (constitutional) courts in counter-terrorism cases. Here, one can identify more deferential courts, as well as courts taking up a more active role, seriously questioning the constitutional and human rights compatibility of (the national laws implementing) the obligations stemming from the just-mentioned supranational instruments. This Symposium on the Verfassungsblog, inspired by the conference on ‘Human Dignity and Human Security in Times of Terrorism’, which was held at the T.M.C. Asser Instituut on 14 December 2017 and which was organised by the Research Strand on Human Dignity and Human Security in International and European Law of the T.M.C. Asser Instituut and the Research Group on Constitutional Responses to Terrorism of the International Association of Constitutional Law, addresses a variety of case studies, describing and analysing important judgments and legislative developments in several countries. Dr. Rumyana Grozdanova from the T.M.C. Asser Instituut kicks off with a comparison of the situation in the Netherlands and the United Kingdom, analysing how courts are dealing with secret evidence in terrorism cases and related fair trial concerns. The next post, authored by Prof. Martin Scheinin from the European University Institute, looks at a recent court case in Finland where the defendants, three Finnish nationals, who allegedly wanted to join the armed conflict in Syria, were acquitted of all charges related to terrorism. Prof. Arianna Vedaschi from Bocconi University subsequently examines the different judicial standards of review before Italian courts, taking the Abu Omar case as an example. After that, Dr. Margarite Zoeteweij from the Swiss Refugee Council discusses the state of emergency, non-refoulement and the role of the Turkish Constitutional Court in these matters. 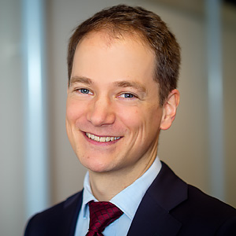 Dr. Daniel Sprick from the University of Cologne is our next author and he addresses the situation in China, its Constitution and the People’s War on Terror. Thereafter, Dr. Bérénice Boutin from the T.M.C. Asser Instituut and the International Centre for Counter-Terrorism – The Hague analyses the excesses of counter-terrorism and constitutional review in France, focusing on the example of the criminalisation of the consultation of websites. Our penultimate author, Dr. Benjamin Rusteberg from the University of Freiburg, provides a brief summary of the extensive case law of the German Federal Constitutional Court on counterterrorist measures and this tour around the world ends with a post, authored by Dr. Laura Gómez Abeja from the University of Seville, that wonders whether there is a regression on the protection of constitutional rights through a broadening of the scope of criminal law regarding terrorism in Spain, focusing specifically on the offense of ‘passive indoctrination’. It is hoped that this symposium will put in the spotlight (even more) the quintessential role and responsibility of (constitutional) courts in the context of counter-terrorism. In many respects, they can be seen, and often act (but arguably not often enough! ), as the last line of defence in upholding the rule of law during times when it really matters, when society is put to the test. SUGGESTED CITATION Paulussen, Christophe: Courts and Counter-Terrorism: the Last Line of Defence?, VerfBlog, 2018/5/07, https://verfassungsblog.de/courts-and-counter-terrorism-the-last-line-of-defense/, DOI: https://dx.doi.org/10.17176/20180507-102213.